NASA has tried really hard to understand all the enigmas surrounding the dwarf planet Ceres. Ever since the first image was beamed back by NASA’s Dawn Spacecraft scientists around the world have tried to explain all the mysteries about one of the most interesting dwarf planets in the solar system. But what makes Ceres so unique? Well we could say that the mysterious bright lights that were spotted on the surface of Ceres are the most talked about mystery surrounding Ceres. The truth is that no one has been able to accurately explain what the mysterious lights are, what causes them, and why they are not present anywhere else. The first high-resolution images of the surface of the dwarf planet arrived to Earth in January 19, 2015 and since then everyone started talking about the unique and mysterious features of Ceres. Ok so, what do the lights look like? Well, to be honest if you compare the image of the bright lights on Ceres to an image of a city on Earth, taken from Space, I’d say that the two look very much alike… It’s as if we are looking at an Alien city on Ceres… But optical illusion can play around with your mind. 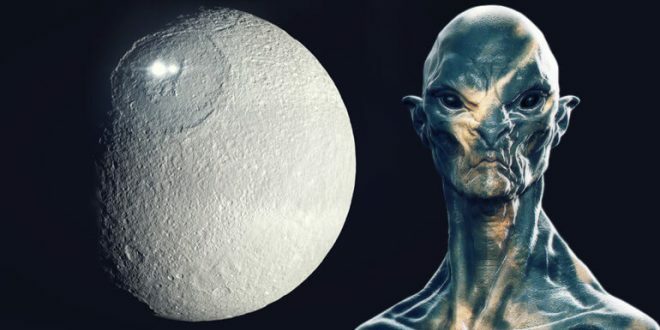 While no one can rule out at this point an alien city on Ceres, no one can rule out Pareidolia either. Ummm… Is that an Alien city on Ceres? As if the mysterious bright lights of Ceres weren’t enough, there is more about Ceres that could creep you out. New images of the dwarf planet show what appears to be a pyramid-shaped structure located on a flat landscape. According to scientists, that mysterious pyramid should be there geologically speaking. The ‘Ceres pyramid’ measures around 3 miles in height, but the size of the ‘pyramid’ isn’t the most mysterious part of the story. What has caused even greater confusion is the fact that one side of the oddly shaped mountain is nearly completely dark on one side while the other side glows just like the bright spots on the dwarf planet. So what is causing the bright spots to shine like that? And why is there a pyramid in the middle of nowhere? Bright lights that cannot be explained… a huge pyramid sticking out of nowhere… Ceres is as mysterious as it gets. What does this mean? Well it means that Ceres is as mysterious as it can get with distinct features that make it extremely rare and unique when compared to other celestial bodies in our solar system. There are many things on Ceres that simply put, should not be there. But if the pyramid-shaped structures and huge bright lights that resemble a city aren’t enough, Ceres has more to offer. According to scientists, the dwarf planet is split into a rocky core and an icy mantle and is believed to have an internal ocean of LIQUID WATER under its thick coating of ice. Scientists picked up ‘traces of water’ back in 2014 when they spotted emissions of water vapor from different regions on Ceres something that caused great confusion among experts since massive bodies located in the asteroid belt DO NOT emit vapors. All of the above means that Ceres is one of its kind. No other planet- dwarf planet is as mysterious as this one. Its incredible features have given us a lot to talk about and its mysterious geology still continues to amaze anyone who looks at it. The only thing left to do is continue following the Dawn spacecraft mission as it explores one of the most mysterious objects in our solar system, an object that could have an Alien connection according to UFO hunters.